Alfalah Consulting: Could Shariah-Compliant Banking Change The Finance World This Year? Could Shariah-Compliant Banking Change The Finance World This Year? Eric Meyer, a hedge fund manager, finds himself flying from Connecticut to the Persian Gulf at least once every four to six weeks. His favorite city there is Dubai, where he’s had an office in the Jumeirah Lakes district for the past five years. It’s a long way from his native Missouri, where he grew up with no idea that his future career in finance would depend upon the Gulf States, a few sheiks and Shariah law. “When I started out in finance, the Middle East to me was just a very interesting place to read about,” Meyer said. Today, he’s the president, CEO and chairman of Shariah Capital, a U.S.-based company that creates and customizes Islamic finance products. Meyer got into the business after visiting a portfolio-manager friend in Kuwait more than a decade ago who happened to be related to the president of one of the country’s largest banks. “So his uncle said, ‘I wish one of you guys would take Islamic finance seriously, because the guy who takes it seriously can really add tremendous benefits,’” Meyer recalled. This year will be Meyer’s 15th in Islamic finance, and it’s going to be a good one. On Thursday he and two partners (one American, one Saudi) announced their new wealth management firm, Mahal Thqa Financial Advisors. They’ll offer independent advice to Islamic investors on ventures that follow Shariah rules. Though the concepts are hundreds of years old, a modern version of Islamic finance has evolved in recent generations to satisfy the needs of people looking to invest without going against their religious beliefs. Besides the moral incentives, there’s real money to be made. The Shariah-compliant sector has grown to $1.6 trillion in assets over the past three decades, according to the Global Islamic Financial Review. It’s becoming hard to ignore – even for the West. 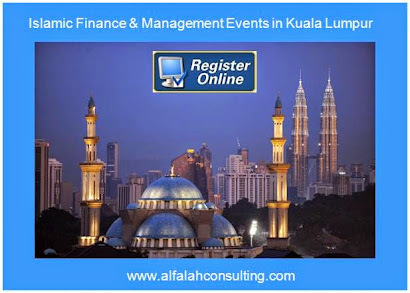 As the markets of the Gulf countries and Malaysia – two of the largest for Islamic finance – begin to recover, Muslim and non-Muslim financiers from around the globe have noticed the growing investor pool with enough cash to make a serious impact. In Africa, a handful of countries have already laid the groundwork to enable Islamic banking, and some of London’s newest landmarks were built thanks to Shariah-compliant bonds. Even America’s Goldman Sachs has made forays into the sector, albeit with mixed results. This year also marks the very first Islamic finance program for beef exports in Brazil. “What you are seeing is an opportunity for Islamic finance to fill some of the voids created by pullback in the conventional markets,” O’Connor said, and he cited the sukuk market as an example. “Sukuk” is an Arabic word that translates literally to “certificates” (it’s always plural) but is understood to represent a bond-like product, though the comparison is not precise. “As interest-bearing transactions are prohibited under Islamic commercial law, sukuk are used to raise funds using various permissible contracts,” said Habib Ahmed, a professor of Islamic finance at the Durham University Business School, and Sharjah chair in Islamic Law and Finance at the School of Government and International Affairs. 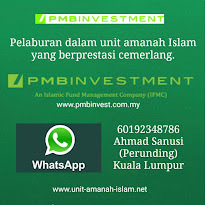 Basically, Islamic investors can’t make money from money. There must be real assets involved that can be easily identified. A sukuk holder can receive rental payments from the leasing of a specific property but cannot lend money to a leasing company. There are also many places where the money should not be spent. Funds cannot be spent in ordinary banking activities, or fund projects like tobacco or alcohol production. To ensure compliance, Shariah scholars regularly audit financial activities. 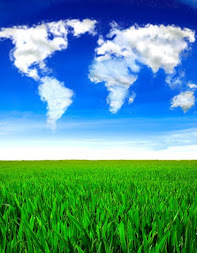 It’s generally understood that money will be used to finance projects that are socially responsible. That way, even if someone purchased a sovereign sukuk, they know the money will be spent on activities that promote social good. Ahmed listed 14 types of sukuk that can be debt-based, asset-based, equity-based and agency-based. The most popular kind are leasing-based (also called ijarah), which is raising sukuk for real estate. Sorting through the products can be complicated, but that hasn’t stopped sukuk issuances from increasing globally as non-Muslim investors have become more interested. “On the demand side, most purchases are pious Muslims who believe that, for all their imperfections, the sukuk are morally superior to regular bonds,” said Timur Kuran, professor of social science and economics at Duke University. But religion isn’t the only reason. “A second source is people looking for diversification,” Kuran said, adding that the social-responsibility aspect is appealing in the same way that an environmentally conscious investor will put money into “green” funds. 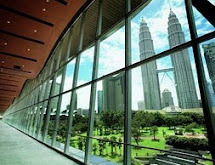 Standard & Poor’s released a report on Feb. 5 predicting that sukuk issuances worldwide will top $100 billion in 2014 thanks to higher demand from the Middle East and growth in Malaysia – the world’s largest market. It’s this combination that makes Africa a burgeoning destination for Islamic finance. “We believe that for investors looking to buy Islamic bonds outside of traditional markets like Asia and the GCC region, Africa may soon offer a fresh alternative,” the S&P report predicts. In October, a Nigerian state issued a Shariah-compliant bond, a seven-year instrument that raised about $62 million from domestic pension funds and international investors. Senegal has also announced plans to issue a $200 million sukuk in the first quarter of the year. Governments that issue sukuk benefit from a new and broad investor base, and the possibility to build up their reserves. “Sukuk offer an opportunity to tap the large pool of funds from the Middle East and East Asia,” said Anadou Sy, an Africa economist at the Brookings Institute. Beyond the fact that Africa has a sizeable Muslim population, non-Muslims are also looking for ways to diversify their holdings, Sy said. Also making sukuk more attractive is that they lend themselves to infrastructure projects, which are desperately needed in sub-Saharan Africa. “Domestic revenues will not be enough to finance the large infrastructure projects that governments plan to undertake,” Sy pointed out. The top 20 Islamic banks in the world have been growing by about 16 percent annually for the past three years, according to Ernst & Young, which has attracted the attention of investors in the developed world as well. The 2013 World Islamic Economic Forum in November was held in London, where Prime Minister David Cameron announced an ambitious plan. “I want London to stand alongside Dubai and Kuala Lumpur as one of the great capitals of Islamic finance anywhere in the world,” he said in a speech. The U.K., where Musims are 5 percent of the population, already has more Shariah-compliant banks that any other Western country. Shariah-compliant finance is responsible for building the London Gateway and the Shard – the tallest building in Europe – as well as significant investments in a soccer stadium in Manchester and even parts of the Olympic Village. Islamic finance is becoming more common in the United States as well, though there are more challenges than in Britain. “When you look at the U.S., there are a few key challenges to growth in the sukuk market – the first is political will,” observed Kavilash Chawla, managing director of Nur Global Strategies, a Chicago-based Islamic finance advisory firm. He also referred to problems Goldman Sachs had when it attempted to issue sukuk. In 2011, the bank announced that it would issue $2 billion worth, but just over a year later, scholars from Abu Dhabi Islamic Bank determined that their program was not compliant with Islamic law, since the funds would go to the bank’s non-Shariah business. Despite that setback, many Americans are still looking to get involved. “Retail consumers are looking for financial products that are aligned to their value base,” Chawla said, adding that corporate non-Muslim consumers are also interested. “From a pricing perspective, it’s attractive,” he said. Part of what Chawla’s firm does is facilitate connections between American companies and Islamic investors. He gave an example of one Midwestern company he’s advising on Shariah-compliant financing to help appeal to investors from the Middle East. The management didn’t know much about Islamic finance, but it is interested in making the process work. The main problem with his American customers is that they think the process is more complicated than it is. But this will improve with time and familiarity, he said. Shariah, after all, is a particularly freighted term in the U.S., where it carries negative political connotations. That’s partly due to a general lack of understanding of what Shariah entails, particularly relative to the financial world. In August, for example, North Carolina became the country’s seventh state to sign into law a bill that officially prohibits its judges from “considering” Islamic law. But on the corporate side, politics aren’t the problem. “The clients don’t understand how you access some of the Shariah-compliant capital that’s out there,” Chawla said. “They don’t have a deep understanding of how to structure sukuk or how it affects costs.” Explaining those things is part of his firm’s role. Many of the companies Chawla works with are non-Muslim and are simply trying to tap into a market with major potential. He said he’s working with a large U.S.-based project in the Midwest that’s making forays into the halal food industry and wants their finances to align with Islamic law. Though many of these ideas are new to American companies, they’re more familiar farther south. According to the CIA World Fact Book, Muslims represent less than 1 percent of Brazil’s population, but more than 40 percent of the country’s farmers are well-versed in the nuances of halal – the process of slaughtering animals according to Islamic law, which only takes an extra two or three seconds, according to Juan Fernando Valdivieso and Muneef Tarmoom, co-founders of Abu Dhabi Equity Partners, an investment firm that recently initiated Brazil’s first Shariah-compliant livestock finance program. They’ve been working in Brazil for years, and said that many Islamic practices are well-known to farmers there. “They’re extremely accustomed to it because it’s an emerging market for them,” Valdivieso said, adding that almost all exports of halal beef will go to countries in the Gulf. The pair has also organized Shariah-compliant financing for ethanol, sugar and soy exports. To them, Brazil represents an ideal place to work. “Given the significant trade between the Middle East and Brazil, it was certainly an area we were looking at from a macro perspective,” Tarmoom said, citing Brazil’s high favorable interest rates, among other factors. “It allows us to extract a larger profit rate, while keeping the risks contained,” he said, adding that now is the time to move in these markets as European and global banks begin to scale back their exposure. 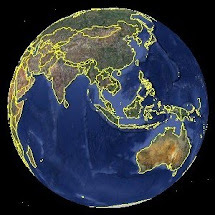 To Tarmoom and Valdivieso, it’s a bet on South-South trade – trade between emerging markets – that they feel is only going to keep growing. And given the fact that a large proportion of the populations in developing countries in the Middle East, South Asia and Africa will be looking for Shariah-friendly ways to finance their projects, they and others promoting these products should be well-placed for the future.